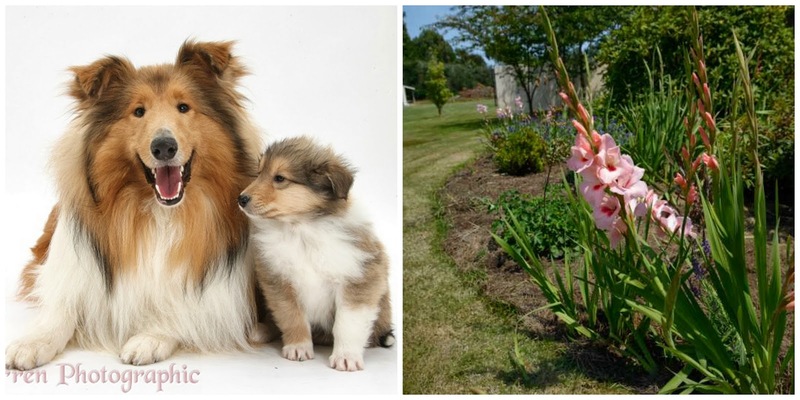 Today we are going to discuss cauliflower, a vege which confused me as a child because it resembles neither a collie, nor a flower, as you can see by these examples of such. Then again, if the names of veges were descriptive, would the vege department be an R18 area? Things to ponder. 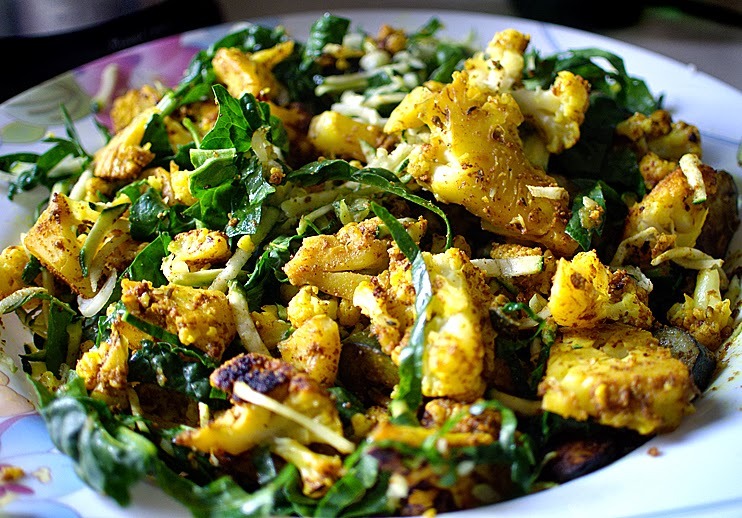 Cauliflower is a strange vege to manage when dealing with special diets. For sheer versatility, it gets an A+. I'm pretty sure there is nothing that a low carb or paleo dieter couldn't make from cauliflower. I've seen pizza crusts, curries, cakes, crispy fried things, mash, dips, gratin, soups and even a whole roasted marinated cauliflower, which gained fame on Pinterest as the Christmas roast for non-meat eaters. However, cauli is not everyone's best buddy. 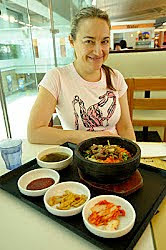 Being high in polyols, they can cause a tormenting guts-ache to anyone with FODMAPs problems. I've found cauliflower to be one of those special veges that some people can't handle much of, even if they are generally ok with polyols. I'm good with cauliflower, cast-iron tummy over here. 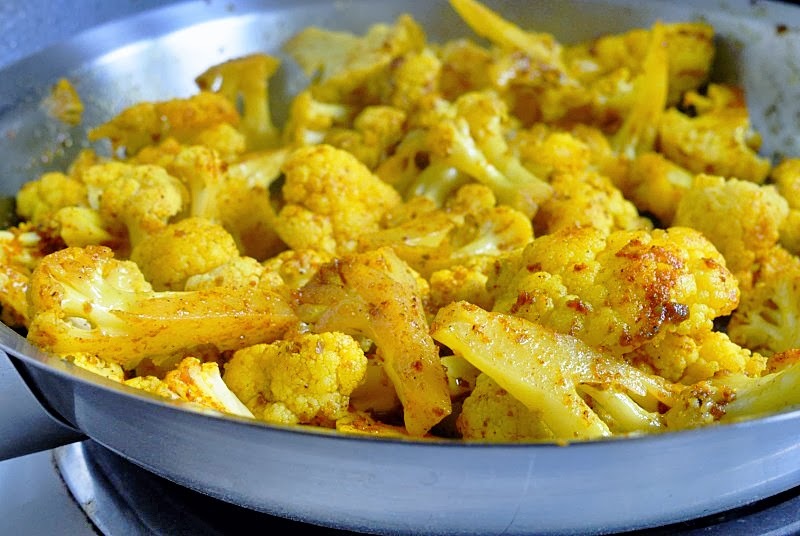 My favourite cauli thing is to simply sautee it in coconut oil or butter with a sprinkling of turmeric or curry powder, some salt and a splash of white balsamic vinegar. Once done, it makes a fine side dish, or you can construct a salad around it. The one below contains grated zucchini, chopped raw silverbeet, almonds and there is some ham hiding away under the veges. A popular dish with my keto-dieting friends is a cauliflower bake. This fine specimen consists entirely of boiled, drained cauliflower, plus a little onion and some fresh herbs, stuck together with grated cheese of many varieties and then baked for about 30 minutes in a moderate (180C) oven. It was an scraped together dinner on a day when I should have shopped, but didn't. How it happened was, I looked in the fridge and realised that there was little in there except a big cauliflower and lots of cheese-ends. I have a real compulsion to try new types of cheese, but never finish one before starting the other. Therefore, the cheese compartment hoards little bits of cheese that usually linger for months turning hard and eventually end up feeding the compost mice. This time, all those little bits went into the Cheesy Bake. Success. It's always so satisfying to avoid throwing food away. I'm not quite my grandmother, who treats best-before dates with complete disdain (if it smells ok, it's fine!) and never wastes a thing, but I do have a 'use it, or throw it?' tug-of-war over wilty spinach. You are funny! I tried making a cauliflower pizza base last night. I liked it, although it had to be approached with an open mind. My six-year-old took one look at it and said "but you said we were having PIZZA tonight!" I said "this IS pizza, it's just a different base". He tried it with a huge dose of suspicion, and said "this is very very unusual" and "this is strange". He then proceeded to pick all the toppings off, painstakingly avoiding any actual consumption of the base. Ah well, worth a try! Did you stick it together with cheese? I tried a cauli base when I was in a dairy-free phase and it just fell apart! It definitely needs something to bind it, what did you use? I haven't read your blog for a while, but I want to congratulate you,if that's the appropriate word, on the platelet count. Is it still rising? HOpe so.